Senden Sie eine Anfrage nach Verfügbarkeit mit Ihrem gewünschten Daten an die Fairmont Copley Plaza, Boston. Room with King bed and a full marble bathroom. Features high-speed internet and a working desk. Room with two Double beds and a full marble bathroom. Features High speed internet and a working desk. Features a Queen bed, flat-screen TV, WiFi, coffee making facilities and desk with ergonomic chair. Suite with King bed, sitting area, coffee making facilities, ergonomic chair and WiFi internet. Room with King bed, sitting area and expansive marble bathroom with separate tub and stand up shower. Features a view of the park. Features a King bed, sitting area, complimentary breakfast/canapes, Executive lounge access, flat-screen TV and WiFi internet. Room with King bed, executive lounge, 32 inch LCD TV, private check-in/out, complimentary Wi-Fi and breakfast, and full marble bathroom. Room with Queen bed, city or interior view, executive lounge access, flat-screen TV and WiFi internet. Includes breakfast and evening canapes. Room with two Double beds, chair, city or interior views and flat-screen TV. Features a Double bed, Copley Square park view, luxury Sealy mattress, Keurig coffee machine, ergonomic chair and Wi-Fi internet. 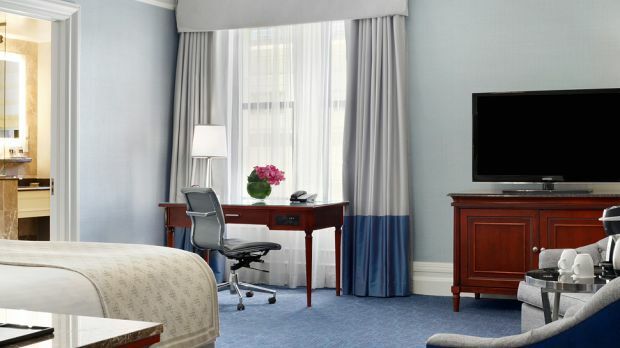 Room with two Queen beds, Copley Square view and WiFi internet. Non-Smoking room with two Double beds, executive lounge access, complimentary breakfast/canapes, private check in/out, and flat-screen TV. This room features two Queen beds, access to the club lounge with complimentary breakfast, canapes, a flat-screen TV, park views and WiFi internet. 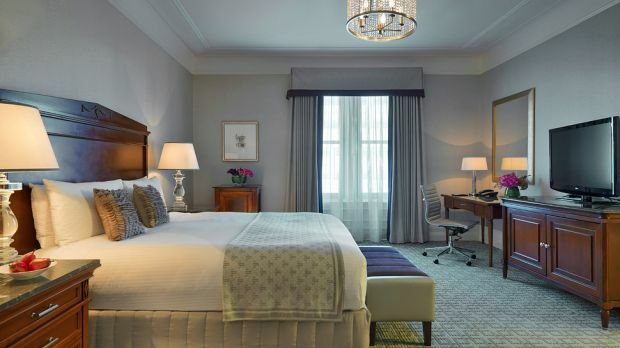 Suite with king bed, separate living room, private check in/out, and access to the Executive Lounge. Features a King bed, park views, separate living room and a marble bathroom. Suite with King bed, executive lounge access, sitting area, complimentary breakfast/canapes and WiFi internet. 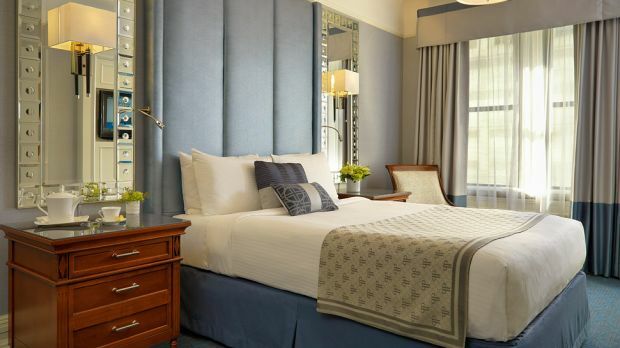 Non-Smoking suite with King bed, separate living room, views of Copley Square, complimentary breakfast and canapes, flat-screen TV, Nespresso machine and WiFi internet. Non-Smoking suite with King bed, separate living room, dining room, stunning Copley Park views and WiFi internet.